IMF Electronics RSPM 1V (Improved) Reference Standard Transmission Line Monitor replacement capacitor set, Alcap 50V Low Loss or Alcap 100V capacitors toleranced to original 5% or close tolerance 2%, plus Polyester capacitors if required. 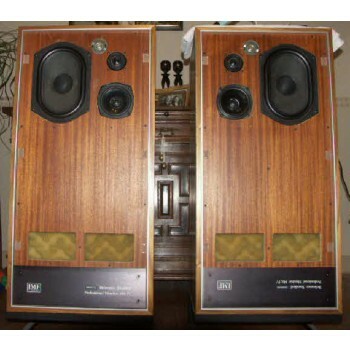 Supplied as matched pair sets for 2 speakers. IMF Electronics RSPM 1V (Improved) Reference Standard Transmission Line Monitor replacement capacitor set. These are replacement matched pair capacitor sets of toleranced Alcap 100V capacitors or 50V Low Loss type where specified, the best modern equivalent to the black Elcap capacitors originally used by IMF and most UK manufacturers. Sets can be ordered with capacitors toleranced to the original 5% or close tolerance 2%, and can include replacement Polyester capacitors if required. 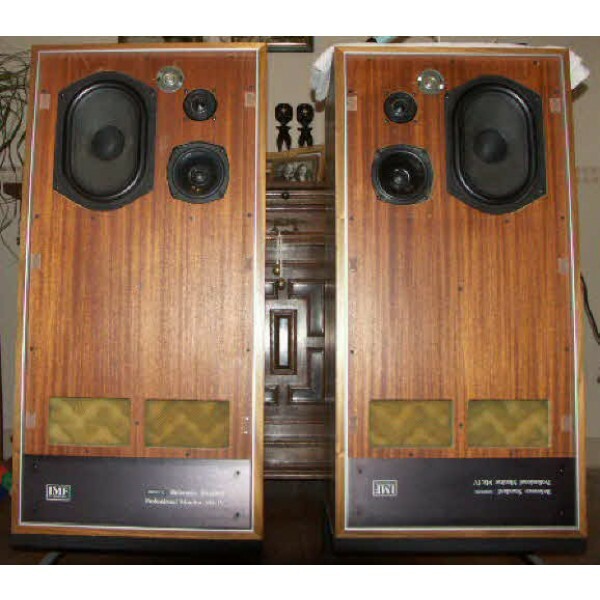 This later version of the RSPM 1V comes in 2 types, either with a mixture of IMF/Celestion or a full set of IMF drive units fitted. It was normally exported so few are seen in the UK. Genuine IMF manufactured versions ( there were some sold as kits) have a P prefix in the serial number. Photograph kindly supplied by Johan Nanninga.